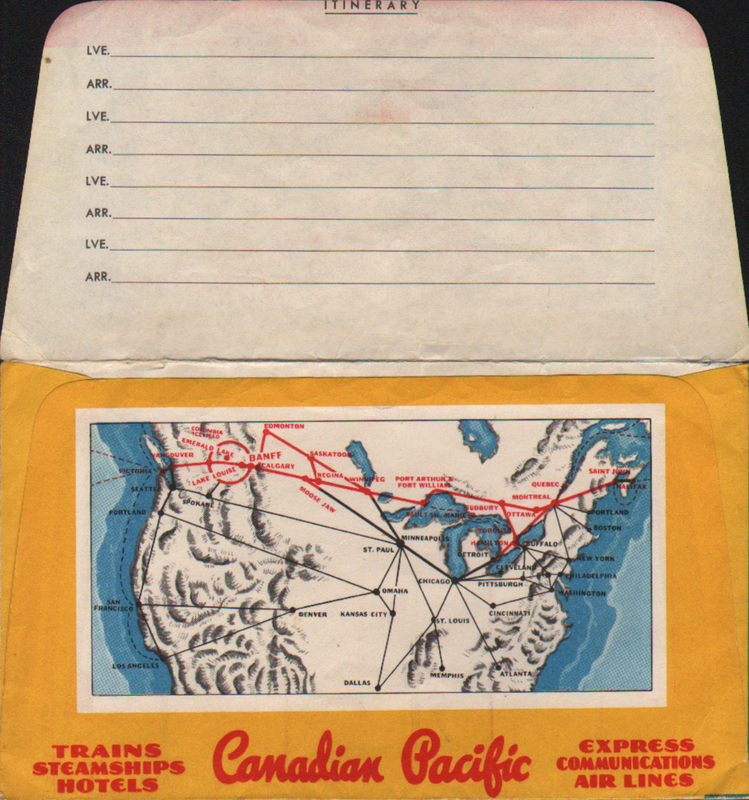 Description Canadian Pacific Railroad (CP Rail) Form P.T. 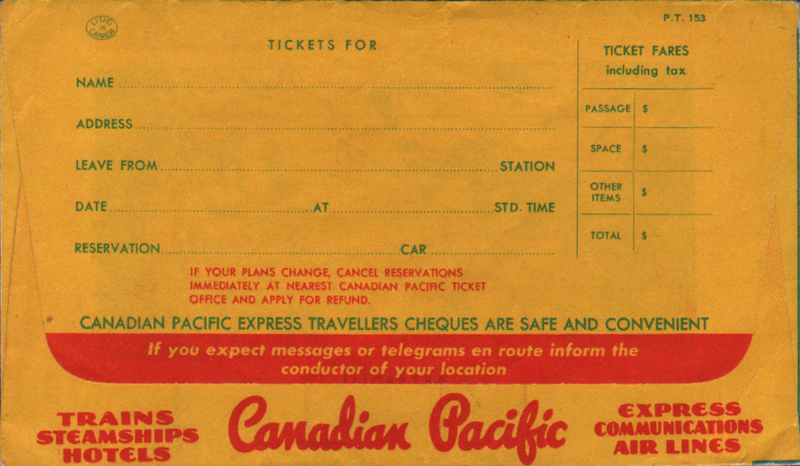 153 Ticket Envelope. Nice graphics with stylized pictures of a Ship, Train and four engine propeller plane around a globe. 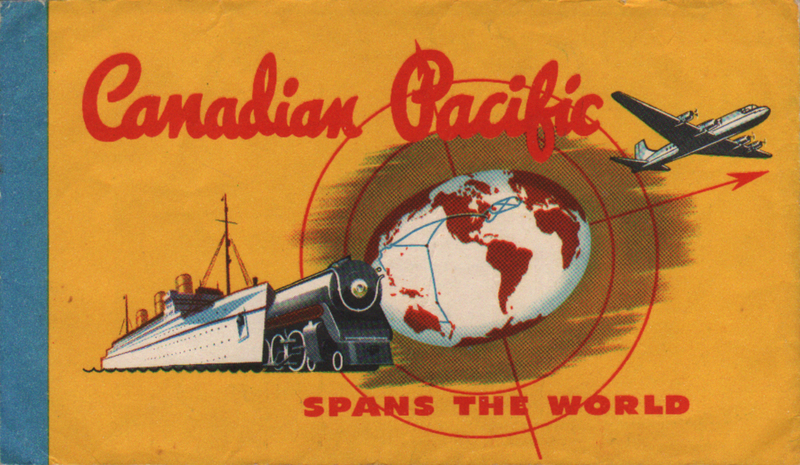 Canadian Pacific, Trains, Steamships, Hotels, Express, Communications and Air Lines (Airlines). Slight seperation on fold of envelope flap.